By John Van Matre, CHS. Bandwagon, Vol. 3, No. 4 (Aug), 1944, pp. 1-2. 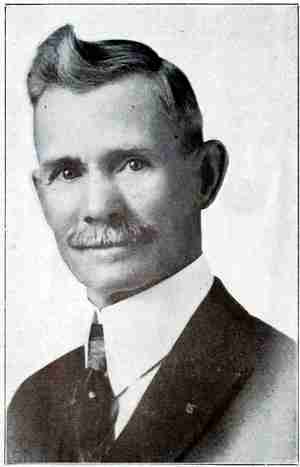 This well known circus owner was born Andrew Downie McPhee, August 13th, 1863 at Stephens Township, Ontario, Canada. Died December 7th, 1930 at Medina, N.Y.
At an early age he moved with his family to nearby Stratford, Ont., Canada, and at the age of 21 went into partnership with Clarence Austin and they put out a one-ring circus entitled "Downie & Austin Parlor Circus." Two years later he went with the Ryan & Robinson Show as a performer. Some of the many things he could do were tumbling, spade dancing, break-away ladder, acrobat, wire walker, juggler and also work some animals. In 1889 he and a man named Rich organized the Rich & Downie Circus which they took out the following Spring. In 1890 at Guelph, Ont., Canada, he met and married Christena Hewer. She was better known as Millie La Tena. Many years later he put out a wild animal circus and named it after his wife. In fact it was 1914 that he put out the LaTena Wild Animal Circus and it was a ten car railroad show. At one time he owned the famous Diamond Minstrel Show. After this he bought out Rich and took the show out under the title Andrew Downie Dog & Pony Circus. His next venture was as a partner in the Downie & Gallagher Wagon Show. Following this he went with the Great Wallace Show. In 1911 he and Al. F. Wheeler took out the Downie & Wheeler Show. This show started out from Oxford, Penna., and they remained partners till the end of the season of 1913. It was in 1914, as stated above, that he took out his own show (LaTena) and in two years enlarged it from a 10 car show to a 15 car show and made a tour of Canada. The show folded in 1917 at Havre de Grace, Md. He next leased the title of the Main Circus from Walter L. Main and rolled up a fortune. Then in 1924 he sold out to Miller Bros., famous for their 101 Ranch Wild West Show. In 1926 he was back and out with Downie Bros. Circus, and it was motorized. This show stayed on the road till 1930 when Downie retired and Charles Sparks took over the title. Downie was a very loveable person, and certainly made a name for himself in the show business, and remained very active, even up to the time of his death, at the age of 67 years.